The NEXT Community and the NEXT Start-up Pitch Jury has decided on the twelve lucky finalists who will have the opportunity to present their ideas on stage on May 8th in Berlin. There were almost 100 applicants wanting to put their ideas out there, via a conference slot at NEXT. However, the NEXT Community and the NEXT Start-up Pitch Jury - consisting of Stefan Glänzer (White Bear Yard), Nate Elliott (VP, Forrester), Charlie O’Donnell (Brooklyn Bridge Ventures), Jörg Rheinboldt (M10), Mike Butcher (TechCrunch), Peter Borchers (Deutsche Telekom) and Patrick Meisberger (T-Venture) - has decided on the twelve lucky finalists who will have the opportunity to present their ideas on stage on May 8th in Berlin. The finalist’s product ideas mirror current trends in digital business ranging from cloud computing to search engine optimisation, from tools for data organisation to music apps, from digital customer loyalty measures to good examples for a new sharing economy. The photosharing app Flakka was the NEXT community’s favourite. The innovative start-up MarkTheGlobe convinced with search engine optimisation for companies with multilingual websites. The start-up Meine-Spielzeugkiste rents out boxes filled with children’s toys, picking up the trend of collaborative consumption. The app 10stamps adapts the idea of loyalty cards to mobile phones. The Facebook application Slidemotion allows everyone to easily turn their photo albums into sharable and sound enabled videos. The personal assistant fileee helps with the managment of documents by utilising optical character recognition and automatic classification. Kjero established a platform for tryvertising, where consumers test and value new products. BeeFM has an innovative solution that integrates music services into social networks. Refinder connects cloud apps like Dropbox, Google Docs and Twitter and allows to see all activities and data in a single activity stream that can be searched and filtered. Described as ‘Dropbox for email’, Squadmail lets users share email folders with any other email account. Secomba is ready to secure clouds worldwide with its encryption software BoxCrypter. eyeQuest uses the power of crowd and allows users to see pictures and videos of places in real time. 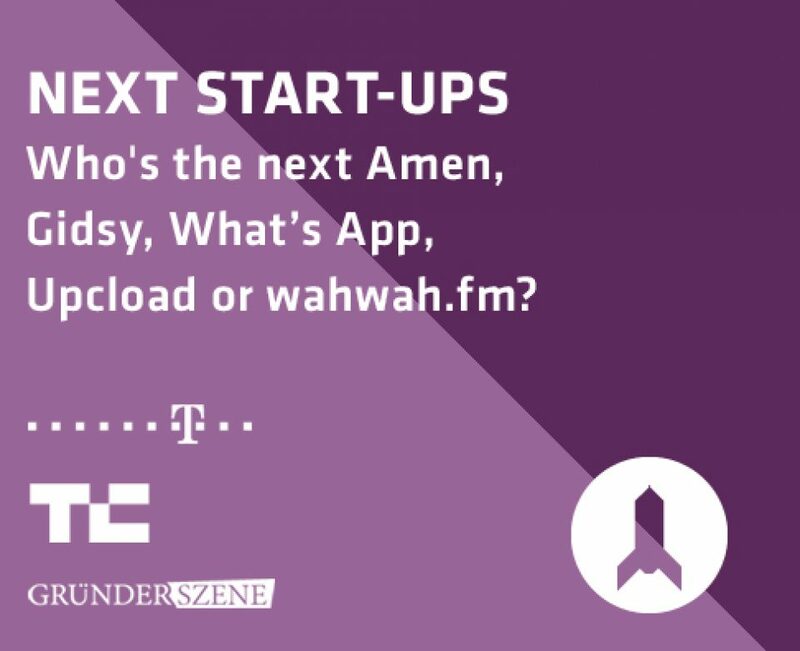 The NEXT Start-up Pitch, initiated together with Telekom, will take place at 15.30 CET on May 8 on the NEXT Start-up Track.